The early summer of 1909 finds Emily Cabot eagerly anticipating a relaxing vacation with her family. 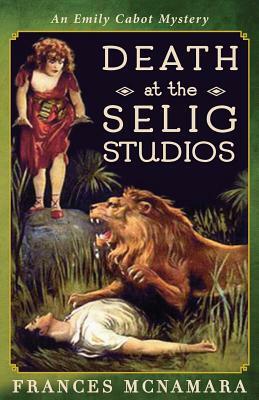 Before they can depart, however, she receives news that her brother, Alden, has been involved in a shooting death at the Selig Polyscope silent movie studios on Chicago's northwest side. She races to investigate, along with her friend Detective Henry Whitbread. There they discover a sprawling backlot, complete with ferocious jungle animals and the celluloid cowboys Tom Mix and Broncho Billy. As they dig deeper into the situation, they uncover furtive romantic liaisons between budding movie stars and an attempt by Thomas Edison to maintain his stranglehold over the emerging film industry. Before the intrepid amateur sleuth can clear her brother's name she faces a serious break with the detective; a struggle with her adolescent daughter, who is obsessed with the filming of the original Wizard of Oz movie; and threats upon her own life.